Do your shopping at Costanera Center and E.N.D. Espacio Nacional de Diseno. Step out of Santiago with an excursion to Concha y Toro in Pirque--about 38 minutes away. There's still lots to do: take in the awesome beauty at San Cristóbal Hill, wander the streets of Barrio Bellavista, contemplate the long history of Centro Cultural Palacio de la Moneda y Plaza de la Ciudadania, and take in panoramic vistas at Sky Costanera. To find reviews, other places to visit, traveler tips, and other tourist information, go to the Santiago road trip tool . Rio de Janeiro, Brazil to Santiago is an approximately 6-hour flight. You can also take a bus; or drive. The time zone changes from Brasilia Time (BRT) to Chile Time (CLT), which is usually a -1 hour difference. Finish your sightseeing early on the 18th (Fri) so you can travel to Dalcahue. Serving as a small but important port on Chile's southern coast, Dalcahue offers a genuine glimpse into Chilean seaside life. Start off your visit on the 19th (Sat): admire the landmark architecture of Nuestra Senora de los Dolores Church, then shop like a local with Feria Artesanal Dalcahue, and then see the interesting displays at Museo Historico Etnografico. For traveler tips, more things to do, and tourist information, refer to the Dalcahue travel route website . Explore your travel options from Santiago to Dalcahue with the Route module. In January, plan for daily highs up to 22°C, and evening lows to 10°C. Finish your sightseeing early on the 19th (Sat) so you can travel to Melipeuco. Melipeuco is a town and commune (comuna) in Chile, located at the foot of the Andes, in the Province of Cautín, Araucanía Region. Start off your visit on the 20th (Sun): explore the wealth of natural beauty at Conguillio National Park. For more things to do, reviews, where to stay, and tourist information, read Melipeuco trip itinerary planner. Traveling by car from Dalcahue to Melipeuco takes 8 hours. Cap off your sightseeing on the 20th (Sun) early enough to travel to Tome. Tomé is a port city and commune in the Biobío Region of Chile. Visit Playa Coliumo and Playa de Pingueral for some beach relaxation. 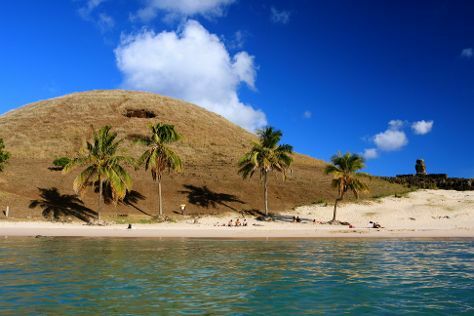 Visiting Coliumo and Playa de Dichato will get you outdoors. There's more to do: enjoy the sand and surf at Balneario El Morro. To find traveler tips, where to stay, photos, and tourist information, go to the Tome travel route planner . Getting from Melipeuco to Tome by car takes about 5 hours. In January, plan for daily highs up to 27°C, and evening lows to 14°C. Finish up your sightseeing early on the 23rd (Wed) so you can travel to Hanga Roa. The main town and capital of Chile's Easter Island, Hanga Roa serves as a base for most visitors to the island, with all explorations of Easter Island and its famous moai monoliths beginning here. Escape the urban bustle at Anakena Beach and Orongo. Spend the 25th (Fri) exploring nature at Rapa Nui National Park. There's more to do: don't miss a visit to Rano Raraku and get impressive views of Rano Kau. To see reviews, ratings, maps, and more tourist information, refer to the Hanga Roa trip planning app . Use the Route module to find suitable travel options from Tome to Hanga Roa. Due to the time zone difference, you'll gain 2 hours traveling from Tome to Hanga Roa. Plan for a bit warmer nights when traveling from Tome in January since evenings lows in Hanga Roa dip to 23°C. Finish your sightseeing early on the 26th (Sat) so you can travel to San Pedro de Atacama. Kick off your visit on the 27th (Sun): take in the natural beauty of Geyser del Tatio, browse the eclectic array of goods at Feria Artesanal San Pedro de Atacama, and then explore the striking landscape at Valle de la Luna - Valle de la Muerte. Get ready for a full day of sightseeing on the next day: take in the dramatic natural features at Piedras Rojas and then admire nature's extreme beauty at Atacama Desert. For where to stay, reviews, traveler tips, and other tourist information, refer to the San Pedro de Atacama holiday planner . 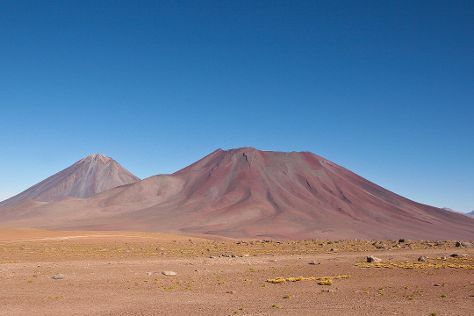 Do a combination of flight and shuttle from Hanga Roa to San Pedro de Atacama in 12 hours. You'll lose 2 hours traveling from Hanga Roa to San Pedro de Atacama due to the time zone difference. Expect cooler evenings in San Pedro de Atacama when traveling from Hanga Roa in January, with lows around 8°C. Finish your sightseeing early on the 28th (Mon) to allow enough time to travel back home.